Denver Commercial Landscaping & Grounds Management - GroundMasters Landscape Services, Inc.
GroundMasters can be your partner for beautiful landscaping and year-round grounds management for your commercial property. 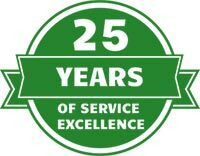 For over 25 years GroundMasters has been Colorado’s premier source of professional landscape maintenance and enhancement services. We continually strive to maintain our long-term partnerships through personal service, dependability, and broad industry expertise. Let our dedication to maintaining exceptional landscapes and delivering excellent service work for you. Our ultimate goal is to provide you with the most healthy and aesthetically beautiful landscape possible. Through hard work and attention to detail, we’ll make your property look great. GroundMasters is a single source solution for all of your commercial landscape maintenance needs. We offer efficient lawn mowing, tree & shrub care, snow removal, and water maintenance services for properties large and small. If your needs run more along the lines of beautification, our experienced landscape enhancement team can help with all aspects of a renovation from design to installation. No two properties are the same, and delivering the right care requires a truly custom approach. Which is why GroundMasters is proud to offer various additional services such as integrated pest management, winter trash policing, winter deep root watering, integrated arbor care, and annual flower rotations, just to name a few.